This magnificent vintage silver bracelet is by the Danish silversmith Anton Michelsen. 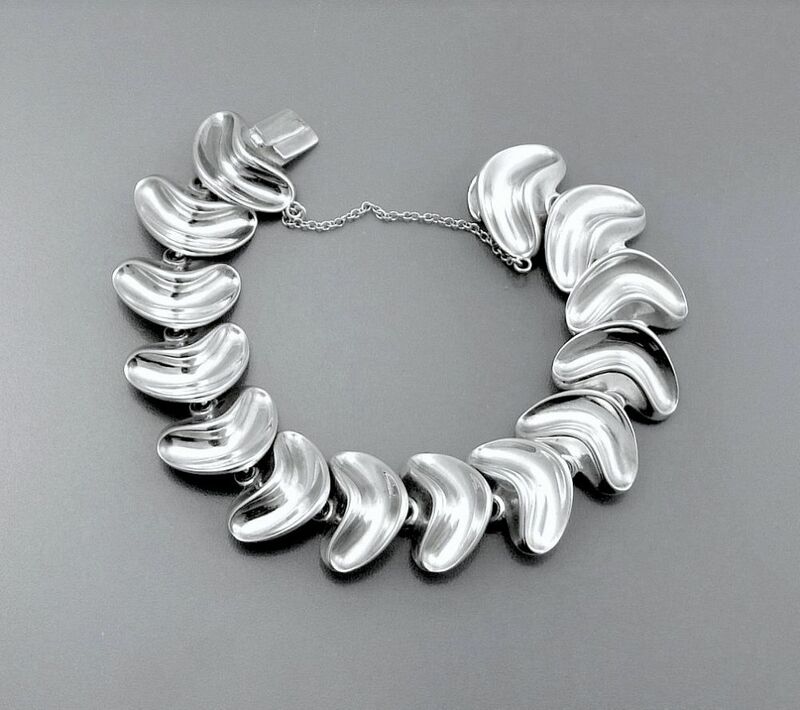 Made in the 160s-70s it comprises a series of articulated solid silver abstract ridged kidney bean shaped links. it matches the necklace that is on the site and would look wonderful worn on its own or with that necklace. 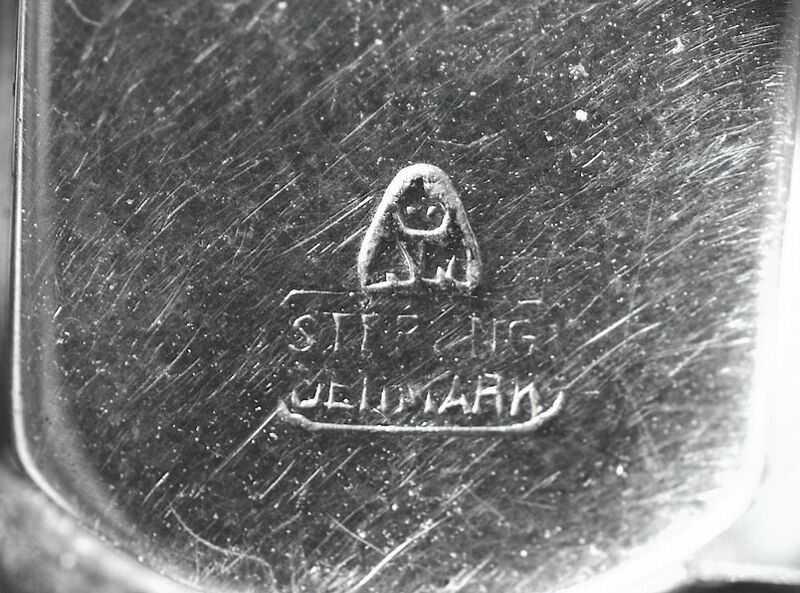 Stamped with the Anton Michelsen mark and "Sterling Denmark"